When you peel away the veneer and take a deep look at Facebook, the true nature of this data collection monster may surprise you. Facebook is a troubling company with a long history of privacy violations, psychological manipulation, and creepy experiments on its user base. It is not just a private company that rakes in money through advertising, it’s also an active arm of the global surveillance state. Different media outlets may cover the latest Facebook scandal, but most will avoid the bigger, darker picture. In essence, they aren’t telling you the whole truth. 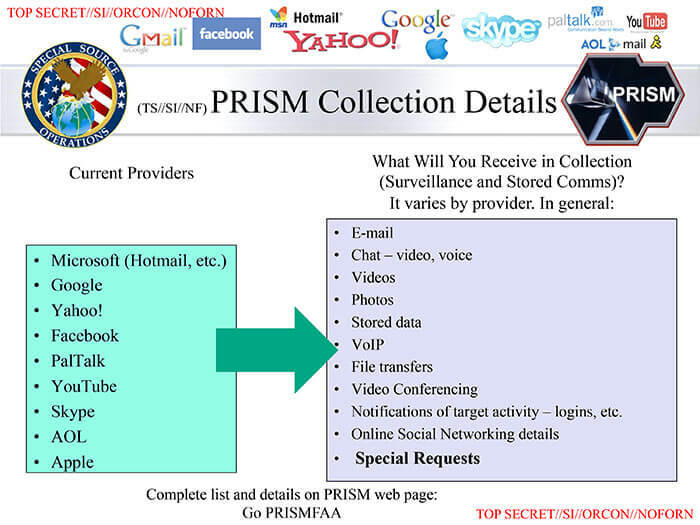 Leaked NSA documents from 2013 gave us a glimpse into the PRISM program, which describes the close cooperation between corporate entities and government surveillance agencies, such as the NSA and GCHQ. The Washington Post and Guardian explained how the NSA, GCHQ, and other spy agencies are “tapping directly into the central servers of nine leading U.S. Internet companies, extracting audio and video chats, photographs, e-mails, documents, and connection logs” to target individual users. Facebook provides direct access to their servers. 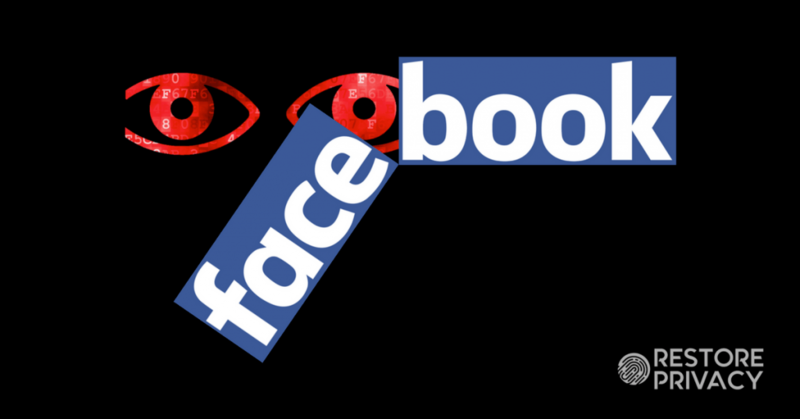 Legal immunity – Facebook and these other internet companies are legally protected when cooperating with government surveillance agencies, thanks to the FISA Amendments Act of 2008. How long has Facebook been helping governments carry out mass surveillance? Facebook has been working with the NSA since June 2009. Based on these reports, Facebook is essentially another arm of the NSA and its global surveillance partners (see Five Eyes). Each time you “tag” a photo on Facebook, its facial recognition technology learns more about what that person looks like. Even if you happen to “opt out” of the facial recognition tagging, Facebook’s technology can surely use the tagged photos of you (hey, perhaps even the tagged photos of you that you end up un-tagging) to figure out what you look like. OK. Now let’s fast forward to today. DeepFace is a deep learning facial recognition system created by a research group at Facebook. It identifies human faces in digital images. It employs a nine-layer neural net with over 120 million connection weights and was trained on four million images uploaded by Facebook users. The system is said to be 97% accurate, compared to 85% for the FBI’s Next Generation Identification system. All of the people who have been uploading images to Facebook and “tagging” their friends and family over the years have actually been training the DeepFace AI. Facial recognition technology destroys your privacy. This allows anyone possessing this technology to take a random photo of you, upload it into the system, and then get every detail about your life, which has been harvested by Facebook, Google, and others over the course of your life. In 2013 Facebook purchased a VPN (virtual private network) called Onavo from an Israeli startup in order to collect and analyze data gathered from Onavo users. In other words, Facebook wanted to harvest data from people who aren’t using Facebook’s apps, which is where Onavo comes in (choose your VPN carefully – see the best VPN report). Facebook offers the ‘Onavo Protect’ free VPN through the App Store, as you can see below. Facebook also created a ‘protect’ icon in the Facebook app, which takes users to the Onavo download page. The following headline from CNBC accurately reflects the irony of this situation: “Facebook is suggesting mobile users ‘Protect’ themselves…by downloading a Facebook-owned app that tracks their mobile usage“. So what data exactly is Facebook collecting with the Onavo Protect app? Information about your mobile applications and data usage, including the applications installed on your device, your use of those applications, the websites you visit, and the amount of data you use. This is yet another example of a free VPN that is basically functioning as spyware. According to various sources, Facebook is tracking non-Facebook users via “shadow profiles”. SpiderOak describes how data can be collected from friends and acquaintances that are using Facebook. Facebook also builds shadow profiles by tracking that is carried out by third parties. Another problem is the issue of Facebook creating a “digital biometric template” of every picture (face) that is uploaded to their servers. There is currently a lawsuit against Facebook alleging that it is violating privacy rights by storing biometric information without consent. Facebook is working to have the lawsuit dismissed by arguing that storing biometric information without consent does not “harm” people. Facebook’s practices clearly show that you cannot “opt out” of tracking and data collection. The only solution is to prevent these adversaries from getting your data through good online privacy measures. This was part of ongoing research companies do to test different products, and that was what it was; it was poorly communicated. And for that communication we apologise. We never meant to upset you. Notice that she did not actually apologize for conducting psychological experiments on users, but rather Facebook’s ‘poor communication’. 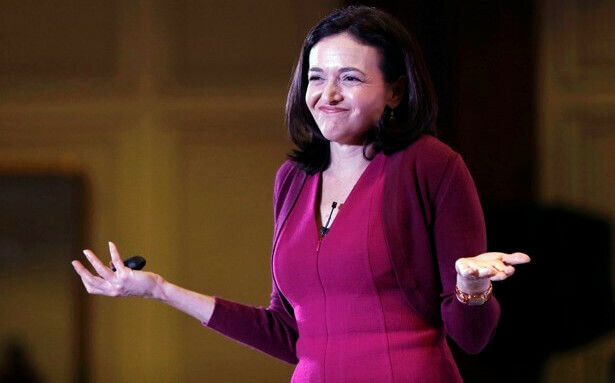 Sheryl Sandberg is not sorry. It shows that Facebook is working to manipulate your emotions for whatever sick reasons they have – and this is probably still happening. The short-term, dopamine-driven feedback loops we’ve created are destroying how society works… No civil discourse, no cooperation; misinformation, mistruth. And it’s not an American problem — this is not about Russians ads. This is a global problem. Based on everything we see here, it is safe to say that Facebook is a psychological hazard that should be avoided. How much data is that Facebook app on your phone collecting? 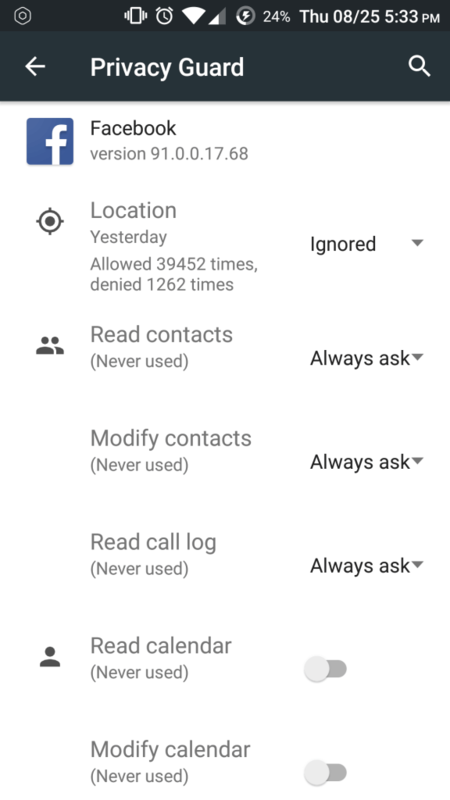 One reddit user found that the Facebook app on his Android phone had requested to know his location over 40,000 times in a period of 90 days. Facebook location tracking in action. Aside from the obvious privacy violations, this would also probably put a strain on your phone’s battery. This is also concerning when you consider that the NSA taps into Facebook servers (PRISM program), thereby giving government authorities data on your locations thanks to Facebook tracking. Aside from location tracking, Facebook was also caught scraping call and text message data from Android phones over a period of years. The Facebook mobile app is spyware. Are the people running Facebook evil? According to the original report, Facebook’s algorithms can determine “moments when young people need a confidence boost” – which can be exploited by advertisers. We have opened an investigation to understand the process failure and improve our oversight. We will undertake disciplinary and other processes as appropriate. You can be sure that this “investigation” did not yield any results. But wait – this topic gets even creepier. Last year Facebook requested a patent on technology that would read user emotions based on “characteristics of a keyboard input.” This would basically predict your emotional state based on the pressure and speed at which you type. And lastly, Facebook has also requested a patent titled “Techniques for emotion detection and content delivery“. So what does this mean exactly? With this patent, Facebook wants to actively watch users through the device’s camera to determine their emotions and psychological state, which will be analyzed and used for “content delivery” (targeted advertisements). The casual observer should see where all of this is headed. Facebook does not want to merely observe your emotions, Facebook wants to control your emotions. Facebook will issue an “apology” and pretend there was some kind of mistake. Media outlets will discuss the latest scandal, pretending that it’s something new and surprising. Facebook will continue on with business as usual – violating your privacy and carrying out other disturbing practices and creepy experiments behind closed doors. Don’t expect any major political change to reign in Facebook’s activities. After all, the company literally works for the surveillance state and also spends millions lobbying politicians to get their way. What do you think about encrypted emails, like ProtonMail or any other you know? Also, what about Tor, I did not read here anything about it, can we trust it? Many people claim it’s US Government’s project? Hi, I just read your post about encrypted emails and ProtonMail is also free by default (500 MB). I will also create an account at Tutanota, sounds even better. Why would a VPN help privatize anything from Facebook? They track your location through other methods (wifi, bluetooth and gps) and you input the data into their servers. Would a VPN have any effect on the data they can collect? A VPN will hide your IP address and location from Facebook, but it is just one of many privacy tools one should use. Aside from not using Facebook, another important consideration would be to use a secure, privacy-focused browser with add-ons to block Facebook tracking. Another good option is Perfect Privacy, which offers the TrackStop feature. TrackStop has filters to block Facebook and all social media domains at the VPN server level, so you will be protected whenever connected through the VPN. I believe Facebook only tracks you through GPS and bluetooth if you have Facebook apps on your phone. Regarding WiFi and Facebook, again, don’t use their service and block all Facebook domains when you’re online. Like your VPN Reviews a lot. Very good article. 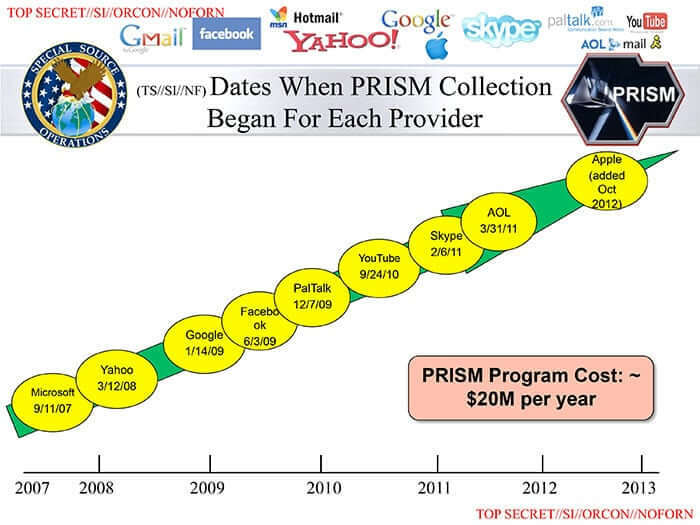 However, FB is no different in terms of data collection when it comes to PRISM data collection. As much as a dislike FB, stressing that they are part of the group is actually a moot point. Nonetheless, most people in our society now have the mindset that they have nothing to hide so the data collection is not an issue with them. Sadly, that’s a very one dimensional way of thinking and in many ways, society is de-evolving. You caused me to think. I don’t agree. But, you still got me buzzing in my head about the issues you raised. It’s well worth a watch for anyone concerned about the uses of social media. Thanks Richard, that was an interesting video. I definitely think these devices and platforms are addictive, especially with teens and young children. I see so many small kids with their face glued to a tablet or phone. They are hooked. The iPad is the new baby sitter. There are also many experts warning about the health consequences of these devices and also the issue of EMF exposure. Apparently Steve Jobs did not let his kids play with iPads and strictly limited technology in his house. I think parents would be wise to follow suit.